In H. Rider Haggard's central American romance Heart of the World, Don Ignacio, the last heir of Guatemoc and the ruler of the Aztec Empire before Cortes, is bequeathed half of an emerald meant to identify him as successor to the rightful Aztec sovereign. Accompanied by his Inglese friend James Strickland, and guided by the beautiful Maya, they travel to the City of the Heart. HW was serialized in Pearson's Weekly from August 1894 to January 1895. Longmans, Green, and Co., New York, published the first edition in May 1895, which included 13 full-page illustrations by Amy Sawyer. Sawyer is noteworthy in this archive for being Haggard's only female illustrator. The Longmans, Green, and Co., London, edition published 27 March 1896, added 2 illustrations making a total of 15. 10,000 copies issued. 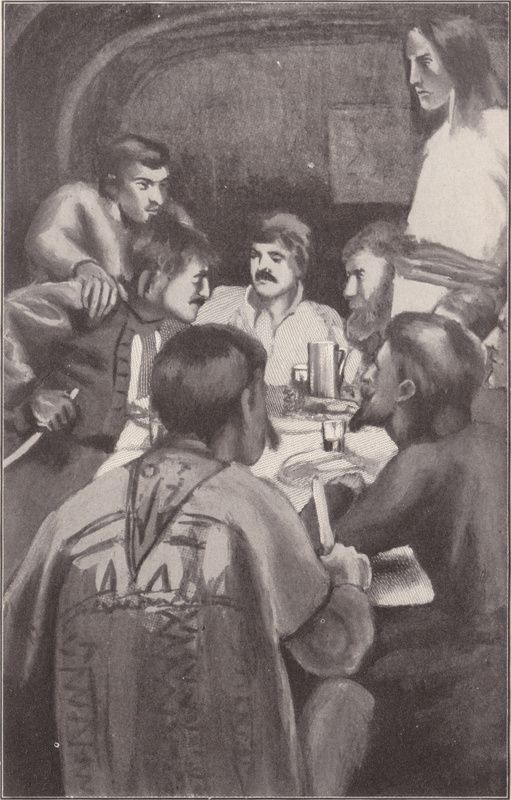 The P. F. Collier & Son Authorized Edition reprints one of Sawyer's illustrations as a frontispiece, although the quality of this reproduction is greatly diminished. In 1896 Tauchnitz of Leipzig published a copyright edition of HW. Hodder & Stoughton, London, published a Seven Penny Library edition in 1914 with a frontispiece. Harrap and Co., London, published an edition featuring a pictorial dust jacket in 1926. Macdonald & Co., London, published an edition of HW illustrated by Hookway Cowles in 1954, 1st thus, with a 2nd imprint appearing in November 1965. Pocock, Tom. Rider Haggard and the Lost Empire. London: Weidenfeld and Nicolson, 1993. 103. Whatmore, D.E.. H Rider Haggard: A Bibliography. Westport, CT: Meckler Publishing Co., 1987. F19, 31-32. 1st US Edition. New York: Longmans, Green, and Co., 1895. 1st UK Edition. London: Longmans, Green, and Co., 1896. Hodder & Stoughton's Seven Penny Library. London: Hodder and Stoughton, 1914. 1st Edition Thus. London: Harrap and Co., 1926. Macdonald Illustrated Edition, 2nd imprint. London: Macdonald & Co, 1965.